Well... what a year it's been! I think everyone deserves a good break & lots of rest with their loved ones. This year the GFC continued to grip a lot of businesses & although we saw a number of our competitors close their doors we managed to maintain our solid grounding of customers by delivering continually great products & service. This year we began testing the boundaries of what could be achieved with print technologies. 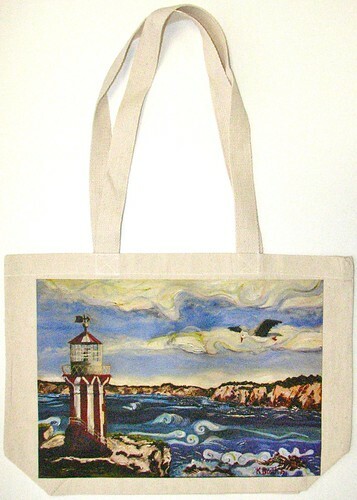 We created an oil-painting finish on a Canvas Bag. We continued our commitment to the Fairtrade movement by increasing our stock holding of Fairtrade products in Australia & supporting a variety of Fairtrade events during the year. Cotton pricing went crazy & has not really restored itself to previous levels, but with continual developments & close relationships with our suppliers, we're able to deliver a quality product at a reasonable market price. We brought a number of functions in-house so we would deliver superior service. Our greatest advance has been artwork management, preparation & creation for customers that require it. Plus we expanded our Australian warehouse which allows a wider variety of products to be available more of the time. And finally, we always have a bit of fun... brining you Weird Facts & making sure you have something to do in those quiet times with our Retro Games. In closing, we thank you for a great year & we look forward to continually innovating in 2012.